Here's a picture of some people sitting in Llywelyn's Pub downtown St Charles, Missouri. My wife and I had lunch there after touring the very very old style buildings down main street. There must be 30-40 pubs down the entire length of the street whose numbers were only exceeded by the quantity of lawyers' offices. It's an amazing stretch of town pretty much as it was 100 or more years ago. We wanted to do something different today because it's the occasion of our being married 49 years. I had fish-n-chips doused with real malt vinegar. Wife decided on a Reuben sandwich. Neither of us are beer drinkers so that we didn't enjoy the house specialty, but we did have a dessert that is unique to St Louis. It was a huge portion of Gooey Butter Cake and was the most delicious thing I ate since we have been here. When I came home I looked up the recipe. It had the expected butter and creamed cheese, but it also is made with 4 cups of confectionery sugar. That means we must have eaten a cup of sugar between us, given that we shared the large portion of cake. We are carb conscious and probably would not have ordered this cake if we knew what was in it. Going off diet once in a while is ok, but this was a massive, if not tasty, overdose. I hope the fish and chips went down well, but what's a Reuben sandwich consist of ? Never mind. Once in a while, and all that. I hope you enjoyed yourselves. Corned beef is a salt-cured beef product. The term comes from the treatment of the meat with large grained rock salt, also called "corns" of salt. It features as an ingredient in many cuisines. Most recipes include nitrates or nitrites, which convert the natural hemoglobin in beef to methaemoglobin, giving a pink color. It has been argued that nitrates reduce the risk of dangerous botulism during curing. Beef cured with salt only has a gray color, and is sometimes called "New England corned beef." Often sugar and spices are also added to recipes for corned beef. not a fan myself, but Londoner ex loves it! how will you celebrate your 50th? Corned beef on rye with yellow mustard and raw onions is to die for. The meat itself is very fibrous and easily lends itself to shredding, which is how the commercial corned beef hash is made. Home made hash would take the biscuit and cube it for the hash mixture. Either way it's an excellent compliment to eggs. 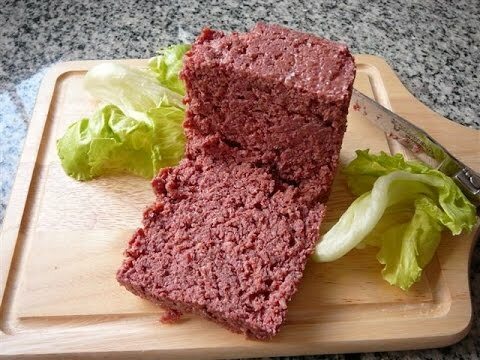 There is an old American custom to eat boiled corned beef and cabbage to celebrate St Patty's day, but the true Irishmen I've talked to never heard of corned beef. Go figure. It's like when I went to Canada one year and ordered Canadian Bacon - they don't know what that is because it doesn't exist in Canada. The anniversary celebration was low key if you discount the fact that we turned our entire life upside down by moving south. Exactly one year ago we were visiting #1 daughter in Colorado to check out the scenery for a possible move there. They took us to a Michelin rated (at least 2 stars, possibly 3) restaurant on the side of a mountain to watch the sun set over Boulder. The same daughter warned us yesterday that she is planning a party for our Golden Anniversary. She asked for suggestions, but I think it's going to be pretty hard to beat last year. The unfortunate part of next year's anniversary is that somebody, or a lot of somebodies, will be traveling to wherever that party will be. Most of the family is scattered about the Chicago area and southeast (Florida) parts of the USA. I'm not too thrilled about the party concept in the first place, and traveling to celebrate in a style I'm not warm and fuzzy over is a bummer. So, I don't know for certain about next year's party. I think we should just all meet on Facebook and call it an event. Happy Anniversary to you and yours Yogi! For 20 years, I lived at I-270 and Olive Blvd. west a couple of blocks off Olive. 5 of those years I worked in St. Charles, so visited many of the eateries in old town. We would also go out to Washington, MO for the eateries out there, and at least once a year go to Herman, MO for the festival. Like you I don't drink beer, or anything with alcohol for that matter. But we still had a marvelous time at the German beer fests. There is a wealth of things to do all around you, and I really miss my home. Living in the south is like living in a whole different world. The "corned" bit actually has nothing to do with corn as in the crop. We eat quite a lot of it over here, but the corned beef and cabbage thing isn't really an Irish dish at all. If you still lived at that old address we would just about be neighbors. One Sunday wife and I went to Chesterfield Mall which is where I photographed those kids doing bungie jumps off a trampoline. The map shows you were almost within walking distance of the mall. We are just enough further west of the city to give us a feel of living in the country. I'm sure it will all fill in over the years, but right now there are a lot of open spaces between communities. I lived on one acre of land for the last thirty years, and I'm already missing the forest and the various things that grew in it - even the poison ivy. Over here I have a quarter of what I had up north and am feeling cramped. Oddly enough, the more distant neighbors from whence I came seemed a lot friendlier and more sociable than the folks down here. Also, I'd say about 50% of the adult females here are pregnant. Something funny is going on over in O'Fallon. When we first moved from Des Peres in 1966 to Ballwin, it was nothing but farmland between the two. Three cities, Manchester, Ballwin, and Ellisville were all huddled together, with nothing around them. A small one horse town of Pond was the next place going west on Manchester Road. Chesterfield was all huge farms with very few houses back then too. Within the space of about 20 years, there was a massive population explosion in St. Louis County, and housing prices soared. This forced most of the young newlyweds to look elsewhere. Jefferson County, and Franklin County began to look like St. Louis County. St. Charles always was a busy hub. The first state capital was in St. Charles, so during that era, it was a major influence and grew. Then it toned down considerably in the years after the capital moved to Jefferson City. Heck, the years I was growing up, even Des Peres was a farming community, but rapidly giving way to urban sprawl. Much like what happened in Jefferson and Franklin County in the late '60s and early '70s. Urban sprawl continued until it totally engulfed much of Chesterfield. Then when the major shopping centers opened, the area became compressed with houses. Driving west from St. Louis, it seems the houses never end. Clayton became the major business hub, and more houses after that and well into the county. Unlike most cities where the city resides in the county where they incorporated. St. Louis IS NOT in St. Louis County. St. Louis City is it's own County. With all the counties surrounding St. Louis County filled up, the urban sprawl is reaching out to O'Fallon and as far as Washington, MO... My son has lived in both O'Fallon and Washington, but is now back in St. Louis County again. I always considered my home to be in an ideal location. I was the only house in my block with a driveway to the street in front of my house. My two neighbors on either side, the backs of their homes faced the side of my house, and their driveways hit the streets in front of their houses. I was less than a half-mile to the Interstate, and every possible type of store was within a mile, and industrial supplies within three miles. I fixed that home up for my retirement, but things happen, and now I live in TN. I really do miss everything we had back home! Almost wish I could afford to move back again. Precious was a Shi Tzsu that we adopted about a dozen years ago. She was left behind by some puppy mill and destined to an early end, but a rescue agency saved her from that fate. We first met her at a local craft show. It was love at first sight, and Precious was the name that suited her best. Soon afterwards, she became my wife's dog. Precious, as is the case with all of her breed, was a fluffy ball of fur. Unfortunately, a rare breed of ticks who took up residence in her hair follicles came with the package. We had to seek out a doggie dermatologist in order to treat the buggy situation - I never knew there were such specialists. The bugs, as it turns out, never really went away entirely. It's damned near impossible to treat an infested hair gland, but we did keep it well under control. Aside from missing some hair, Precious didn't seem to mind her condition. She was indeed her normal furry self when she wasn't on the meds. About a year ago, some 13-14 years into her life, a collapsed trachea began to plague Precious. Apparently it's a common condition for old dogs, but it sounded terrible. It was like she had a fur ball in her throat and could not dislodge it. By this time in her life Precious also had arthritis, and probably a few other ailments. But, doggies are funny critters. They take life one step at a time, literally. She would cough, fall down, walk into a wall, and get right back up to continue what she was doing. I guess dogs have no awareness of the implications of their diseases and just carry on. It's a lesson us humans might do well to learn. By the time we were ready to pack and move on down to St Louis, we were wondering if Precious could make the trip. She loved the car and traveling. In many ways she adapted to her many new surroundings better than her owners. So, the lengthy process of packing up and moving a home was no more than another hairball in her life. She seemed to love the new house and found a spot she could call her own. The collapsed trachea would never get better. It's deterioration could be slowed down, and that's what we were able to do with more meds. These pills made her groggy and took some of the step out of her walk. But she appeared comfortable most of the time. Nearly two months after our relocation, we all needed to be groomed. My wife of many years found a shop that did dog grooming at a reasonable price, plus it was near to home. Precious looked spiffy as ever after the experience. Two weeks later, however, her cough seemed to take a drastic turn for the worse. The vet said she had kennel cough and probably picked it up at the groomer. The kennel cough worked against the trachea problem, and after a while Precious was either sleeping or coughing. She definitely was not taking it all one step at a time anymore. The inevitable arrived yesterday, Friday. We had to take her to the vet one last time. It was more traumatic for me than for the dog or my wive, but it was the right thing to do. The move down here also was necessary, but so many things were lost in the move. And now Missouri seems to have claimed our most Precious possession. So sad for you Yogi and Precious Yogi! 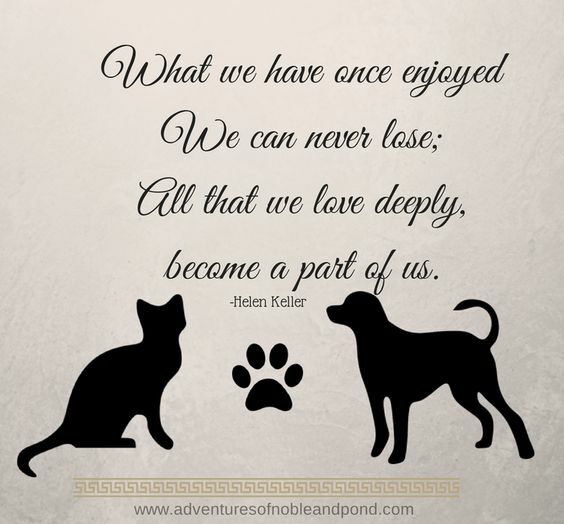 It is hard to lose a long-time family member. 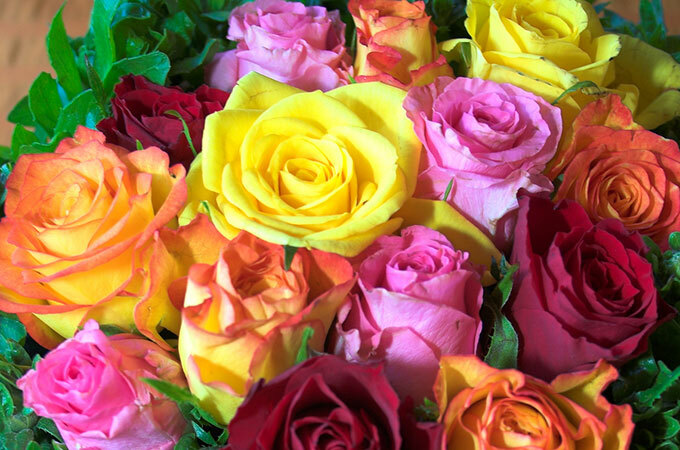 Thank you for your kind words. Precious lived a long life as far as doggies are concerned and she was such a lovable critter. All good things must come to an end, but having to decide when that end arrives for another living being isn't a pleasant decision. Two years ago, two of our dogs were put to sleep within minutes of each other. For us as a family, it was an awful decision to have to make, but we couldn't let them suffer, which they were beginning to. The poor babies never struggled, never cried; it broke my heart to have to say goodbye to them, and the boys missed them terribly because they'd grown up with them. You won't be able to replace Precious, and I'm sure you wouldn't want to, but dogs can be wonderful friends and help with security. Perhaps eventually, you might consider giving a home to a rescue dog or something along those lines. For now though, you have enough to cope with, with the emotional side of losing a much-loved pet, but I'm sure that you'll have many fond memories as well. It was a few degrees above freezing in O'Fallon this morning - it is early November after all. The dampness from all the rain we had a few days ago lingers and produces an eerie kind of fog when the dew point is reached. This morning was Mother Nature at her best. My breakfast was interrupted by all this grandeur so that I had to run around and find my camera to capture the moment. The deck upon which I stood was newly constructed and right outside the dining area. All the glory lasted only a few minutes. Then it turned into just your average foggy morning. I'm guessing you folks in England are used to this kind of thing. Over here in mid America, it's totally awesome. Will you stop trying to make me homesick! We've been having (freezing) fog for a few days now, but unlike yours, it's slow to depart. A hill fog can linger nearly all day at this time of the year, and sometimes the sun doesn't penetrate it. This part of the world looks very dismal atm. Look forward to seeing some more pics when you can take them. Oh thank you! They're lovely, and you have 2 "awww's" there; one in the form of poor Precious's empty bed (really sorry about that), and then the guinea pigs! I love them. I enjoy looking at other peoples' photos because I hardly take any myself, so you can post as many as you like on here, and it's nice to have a look at your scenery and see things which're a bit different to over here.